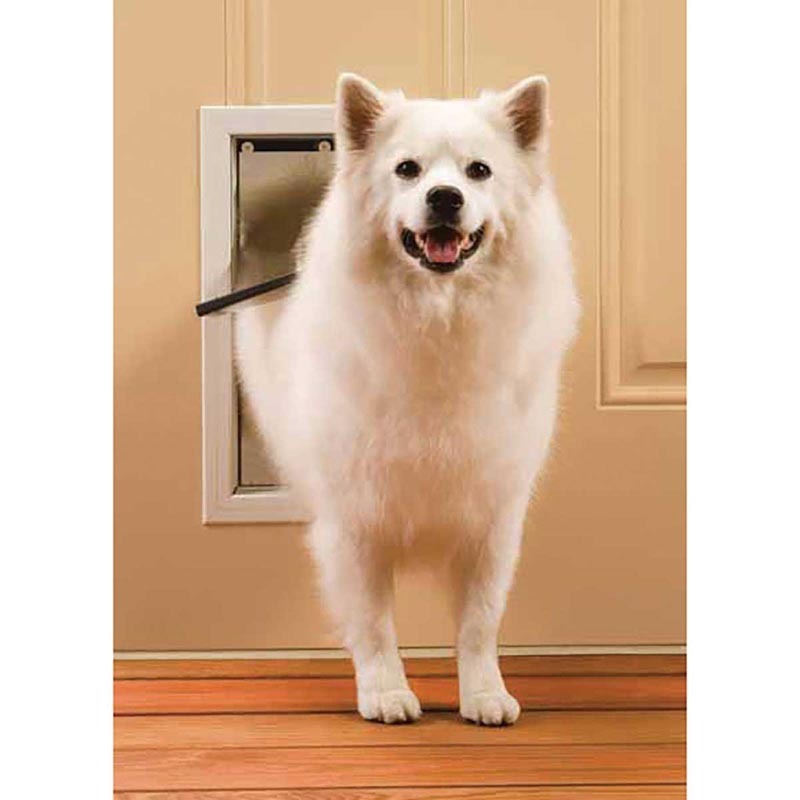 Pet Safe Freedom Door White Large 10 1/8" X 15 3/4"
Solid aluminum construction with locking panel. Soft, transparent single flap for weather tight seal. Size: Large, for dogs up to 100 lbs.